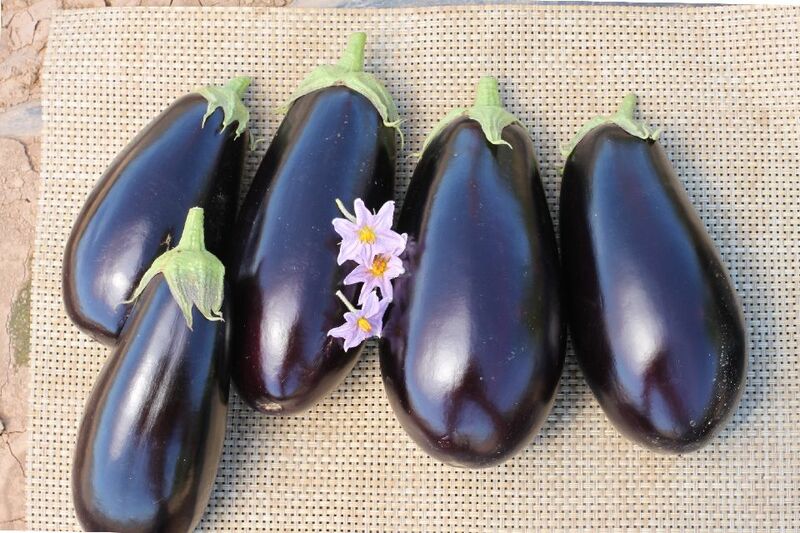 Other: ‘A1014’ brings an entirely new level of quality, earliness and yield to the “American” style of eggplant. It is up to 10 days earlier than any other variety and will provide a lot of fruit early. The fruit has a refined look, is firm and glossy, and a “just right” size for most grocery stores. The calyx are totally spineless and won’t scratch the fruit, your customers or harvest crew. Fruit separates easily from the plant with a gentle tug. The plant is compact but stays healthy and productive for a full season. Most growers will not need to stake A1014 and plants can be crowded.